Hey there, Said Syed here. I’m the Head of Developer Experience Programs at Hewlett Packard Enterprise (HPE). Chances are good you’ve met me at the HPE DEV events, or that you’ve interacted with me on the HPE DEV portal. We’ve been promising you this communication for a while, and we’re really excited it’s arrived. I’ll be here every month with our……well, let’s not call it a newsletter, ok? How about Release Notes? The HPE DEV portal contains a rich repository of APIs, allowing you to access and interact with projects and platforms swiftly. This section will contain the latest and greatest every month. HPE OneSphere is HPE’s simplified multi-cloud management platform. In one of our biggest developments, we’ve recently placed the HPE OneSphere executable swagger on our DEV portal, with over 30 discreet catalogs. The power of our simulator allows executable interaction with the API. You can now test integration with your favorite tool, build applications from, or simply learn the API directly, even if you’re waiting on the full release of HPE OneSphere. HPE SimpliVity is an enterprise-grade hyperconverged platform. 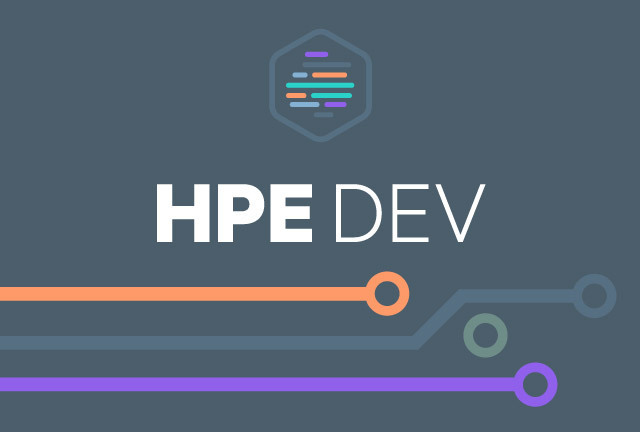 HPE DEV recently added the HPE SimpliVity REST API reference and technical documentation to our portal. This tool enables developers and integrators to manage HPE SimpliVity efficiently, intuitively and securely. We’re very excited to welcome HPE SimpliVity to the HPE DEV family. If you are using HPE SimpliVity, an administrator or developer can gather information about HPE SimpliVity for your application, configure HPE SimpliVity assets, and perform rich HPE SimpliVity data services such as backup or datastore. Meet Sir Hackington Appbuilder III. Who is this handsome scamp you may ask? He’s the mascot of the HPE DEV team, and he travels with us to all of our conventions and events. Come say hi and get your photo taken with him. Ask him what we’re up to. (Just kidding, he can’t talk!) But we’ll gladly let you know what the HPE DEV team is up to. He’s quite the world traveler. Maybe you’ve met him in Las Vegas (Discover), Portland (OSCON) or San Francisco (Google Cloud Next)? If not, there are plenty more chances to catch up. He’s got something of a whirlwind agenda over the next few months, including back to Las Vegas! (VMworld & AWS re:Invent where his new sister will make an appearance), Orlando (Microsoft Ignite), Madrid (HPE Discover), and Seattle (KubeCon)! That’s a lot of frequent flying dog miles. Have some code to contribute? Or a blog that you’re eager to write? That’s the kind of community we’re building. Join the growing ranks of our developer community and share your knowledge. You can also join the conversation on our Slack Channel, and learn from and contribute your insights to your peers. As a developer, you’re not only on the forefront of software, you are leading a significant transformation of how enterprises conduct business. Developers and the culture of DevOps are profoundly driving agile business processes and the pace of change itself. You may not think of yourself as an agent of change, but you are. HPE is an innovator in this space. HPE DEV would love for you to come along with us on this journey, and we look forward to learning as much from you as you do from us. R is a popular object-oriented programming language used for statistical computing and graphics. For developers familiar with R and who are using HPE OneSphere, this blog walks you through the ways you use R to access the HPE OneSphere API. Developed internally at HPE, Grommet is an open-source development tool. It consists of a library of reusable UI components that allows developers to quickly create web applications. 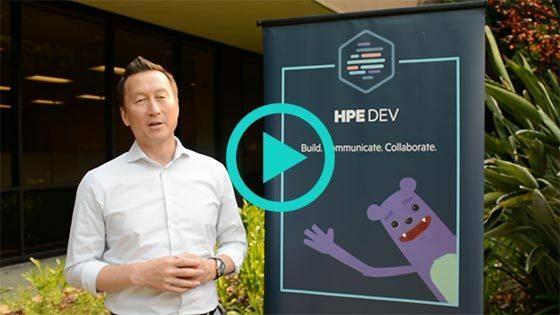 Initially built to meet the internal needs of HPE DEV, the tool has attracted a following of developers tasked with making their applications both beautiful and functional. Grommet helps teams bridge the often tricky divide between the back end and UI/UX. Subscribe | View the HTML version | Unsubscribe from the HPE DEV newsletter.